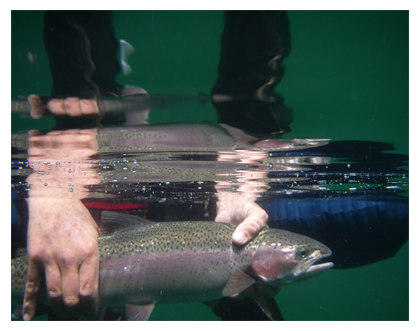 As important as fishing are the efforts underway to save and protect Pacific Northwest salmon and steelhead runs. Sadly, our wild steelhead and salmon have been disappearing for the last decade. Most runs throughout Oregon and Washington are at record lows, with some sub-species of salmon and steelhead being in danger of becoming extinct. 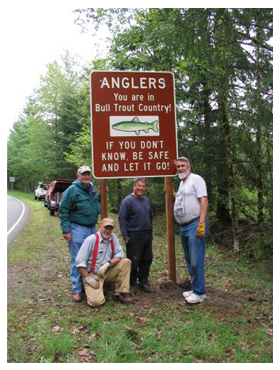 Unfortunately, fish hatcheries are not the answer to this problem. Wild fish are different than hatchery fish, because as in any gene pool found in nature, diversity is a key component to healthy populations. Another serious problem that fish face is the loss of habitat, which for the most part results from human activities, such as improper timber harvest, over-development, unsupervised grazing of livestock, mining and other practices that destroy the natural balance of watersheds and riverine systems. CSF works hand-in-hand with individuals and other organizations to restore habitat, so that magnificent Northwest native fish can flourish. Not-for-profit organizations are encouraged to take advantage of CSF's Grant Program, which has been developed to help fund conservation, preservation and other projects that will benefit wild fish. For information, visit the Grants Page.